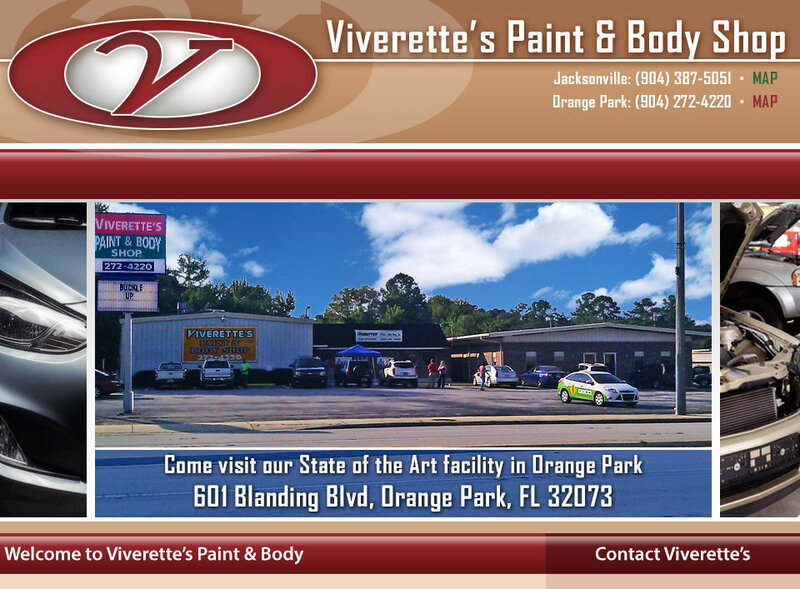 We are Viverette's Paint and Body Shop, a full-service collision, paint and body repair company. We proudly service Northeast Florida with highly trained and skilled technicians who look forward to servicing your auto body repair needs. With a highly trained staff and state-of-the-art tools we can handle any project with ease your best interests in mind. We understand the stress and worry involved when collisions leave your car in worse-for-wear conditions. Let us handle the heavy lifting! We repair all small damages to your vehicle, whether it's a light scratch or a fender bender. Our technicians have the experience needed to repair your vehicle quickly to bring you the results you expect for your auto body repair. Accidents happen, and your vehicle might be in need of serious repair. Our highly trained technicians will focus on restoring your damaged frame back to manufacturer standards, making your vehicle look brand new again. Your auto body requires the most maintenance in restoration due to age, wear-and-tear, long periods of sun exposure, acid rain, oxidation and more. We work the areas to repair the damage in small and large areas, and finish with a polish that pulls up the contaminants and oxidized paint cells, leaving your cars paint job looking brand new! We understand the stress and worry involved when collisions leave your car in worse for wear conditions. That’s why Viverette’s Pain and Body Shop specialize in fixing the dings, dents, bumps, scratches, major repairs, scratched or simply faded paint jobs at an affordable rate with excellent customer service. 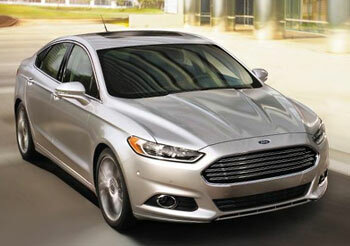 Be at ease as our specially trained technicians get your vehicle back on the road and looking sharper than ever! As a family owned business we take great pride in every aspect of our business, maintaining excellent services with the best industry leading practices and having a long term commitment to your needs. For over 15 years we have served over 6,000 satisfied customers and we intend to raise our level of service one satisfied customer at a time. We hope to develop a great relationship with you as we get your car looking brand new again! 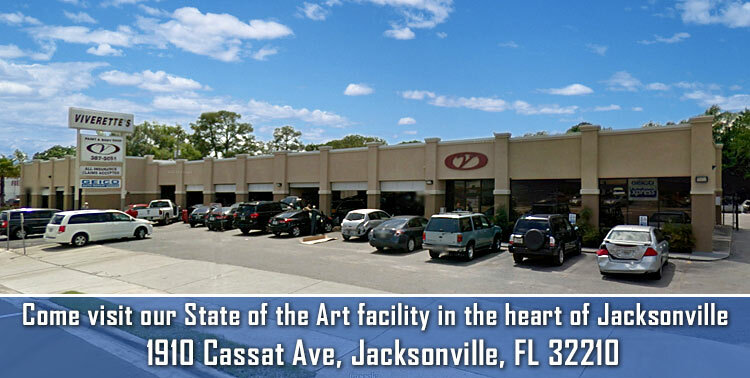 It starts today by calling us at two of our convenient location in Jacksonville, Florida!